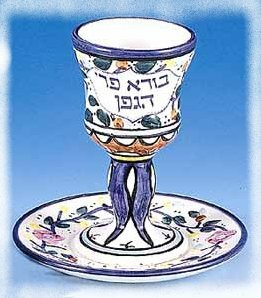 The Shabbat is the seventh day of the week, from Friday evening to Saturday evening. It is a fundamental principle of Judaism. Like Gd who created the universe and all its contents in six days and rested from His work on the seventh, the Jew ceases his working week a few moments before the night on Friday to devote himself entirely to Gd, body and spirit, on the holy day of Shabbat. On Shabbat, Shabat, certain activities are prohibited (build, cook, carve, buy, write, ...), because they flow from the main tasks involved in building the Temple of Jerusalem , a symbol itself of the creation of the world by Gd. But the essence of Shabbat is to leave aside the tasks of the week to make room for Gd on the day when He completed the world, making up room for the Man. The day of Shabbat should be an occasion to celebrate with family, to empty one's mind of worries and material duties of the week, in order to delve into the study of the Torah and welcome in one's house and mind the Oneg Shabbat, the well-being of Shabbat, perpetual gift of Gd to the Jews so they always follow the path of the Creator to bring the reign of Good. Every Shabbat, in the synagogues, we read the parsha, a weekly portion of the Torah scroll. The Shabbat begins Friday at sunset, and ends Saturday night after nightfall. The Shabbat times therefore depend on location and date throughout the year. 11 : Website Modia.org, page on Shabat.